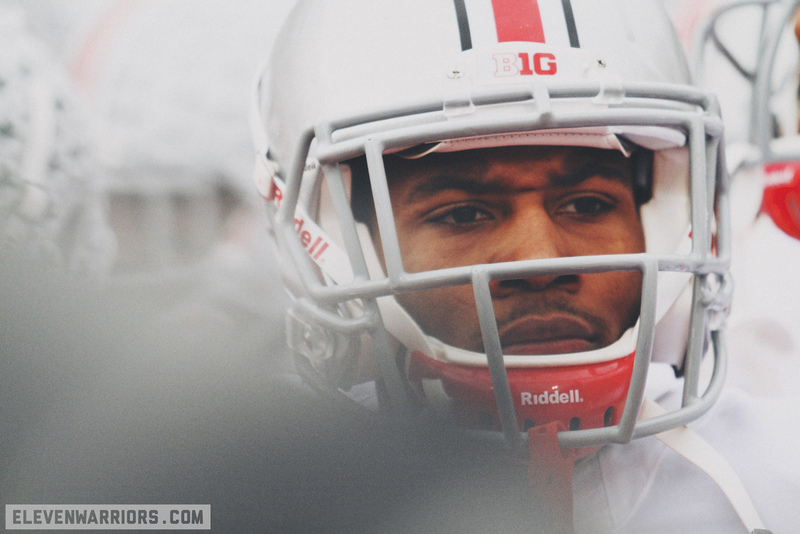 #30 / Freshman, Vonn Bell waits to take the field. 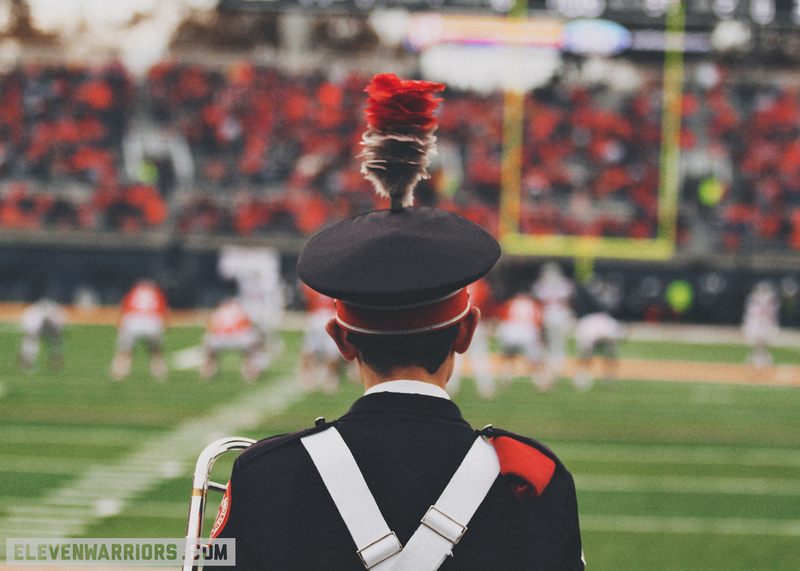 Throughout the course of the 2013 season, I snapped 15,566 photos of the Buckeyes playing football. 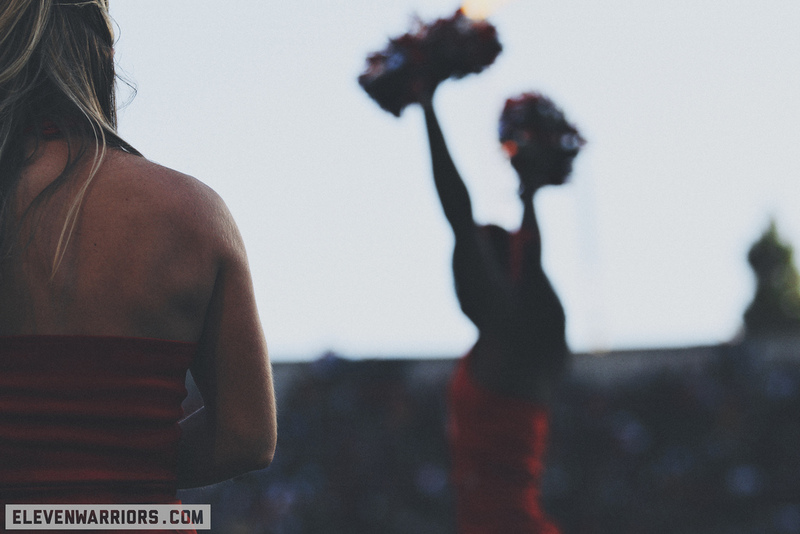 Each week I narrow those down into 100 or so shots that I like, or that tell the story of the game. 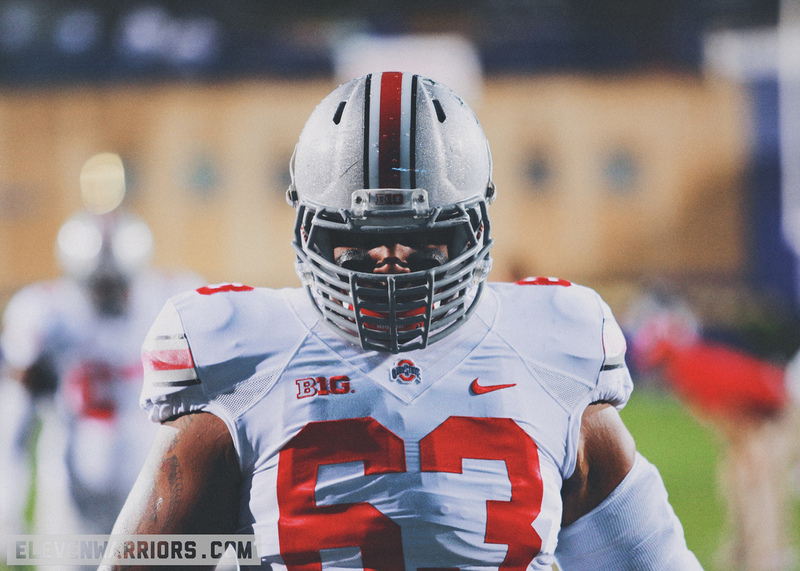 From that large pool of shots, I have managed to sort out my favorite 30 photos from 2013. 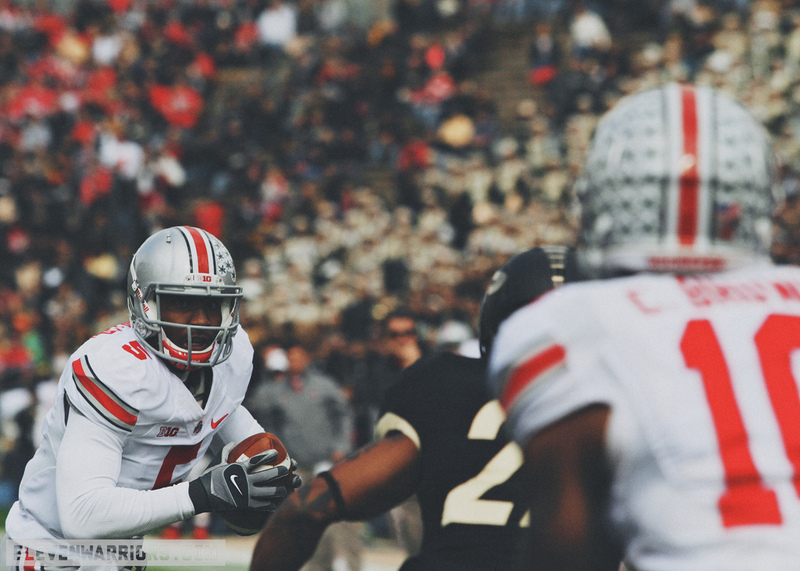 You can check those shots out, starting with Vonn Bell above, and counting down to #1. 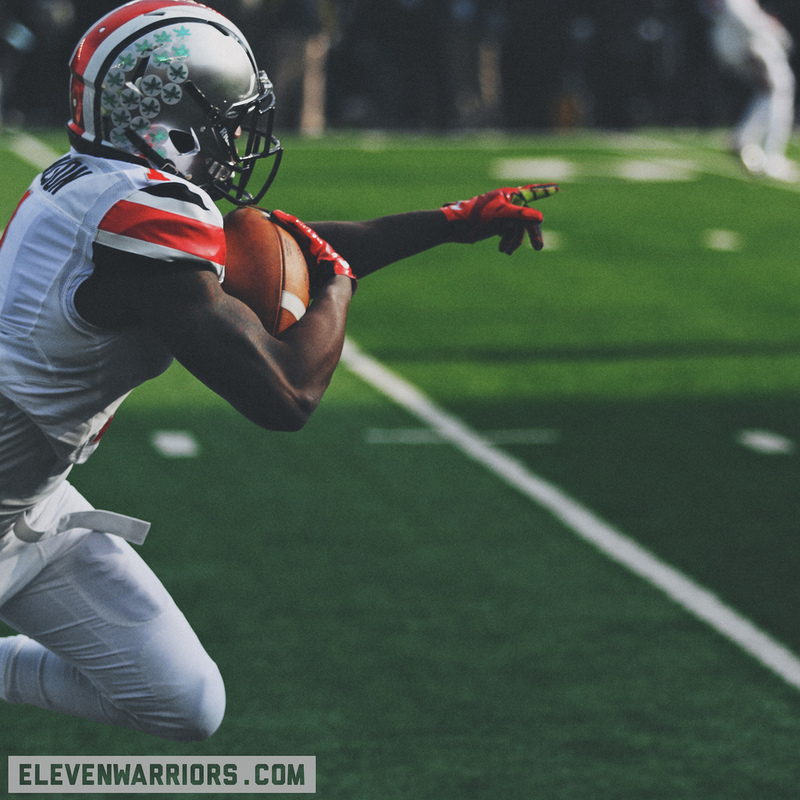 #29 / Dontre Wilson, pre-ejection. 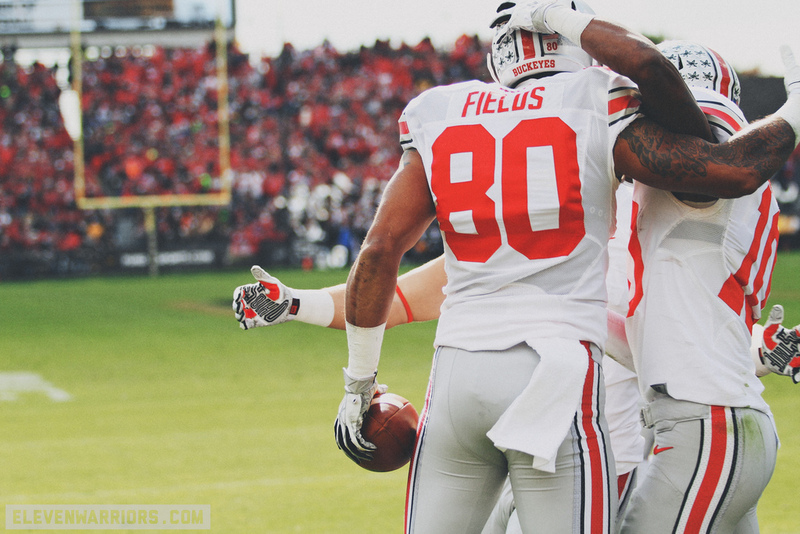 #28 / Chris Fields celebrates at Purdue. 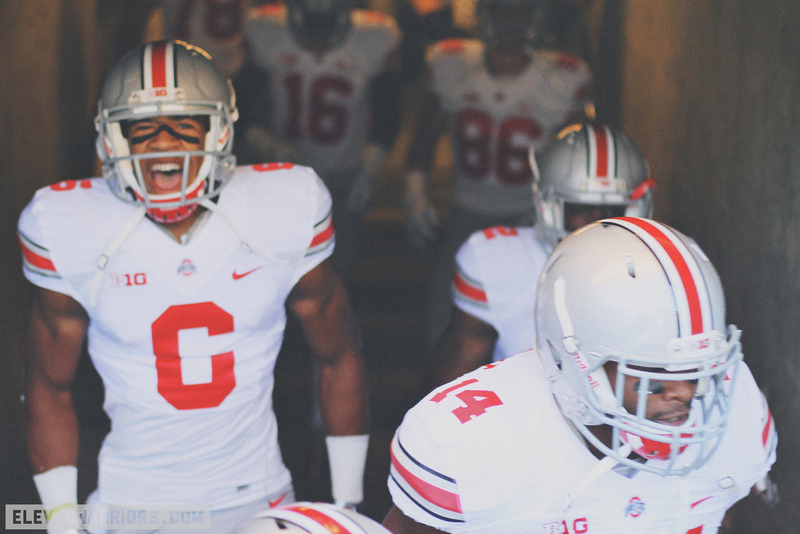 #27 / Evan Spencer and the boys take the field in California. 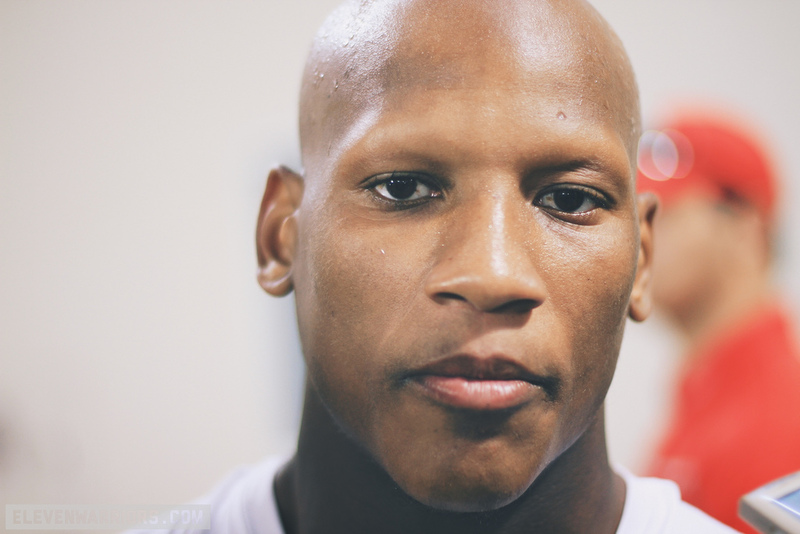 #26 / All-American, Ryan Shazier. 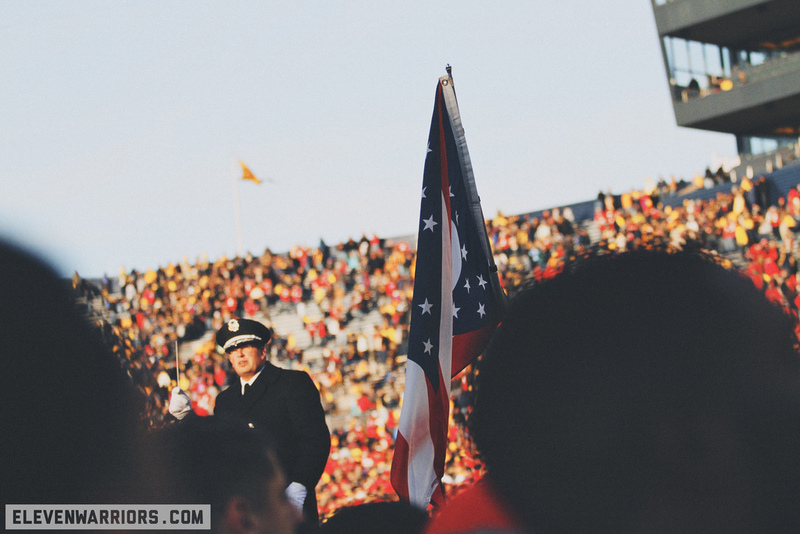 #24 / TBDBITL watches on at Illinois. 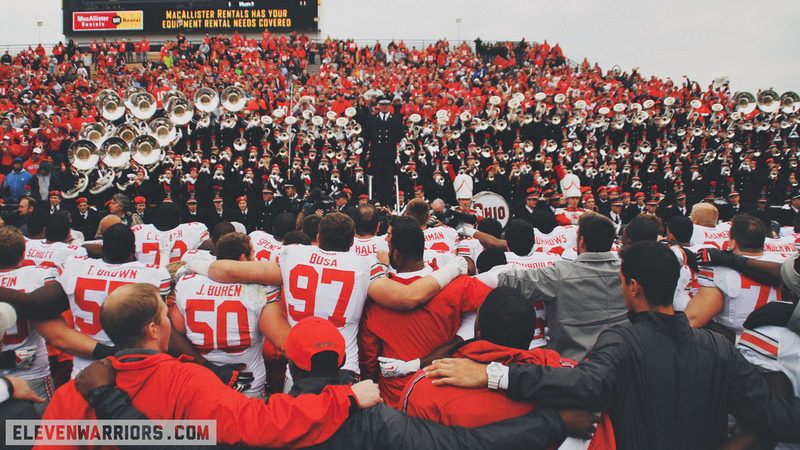 #23 / Joey Bosa and the gang sing "Carmen Ohio" in a chilly Ross-Ade Stadium. 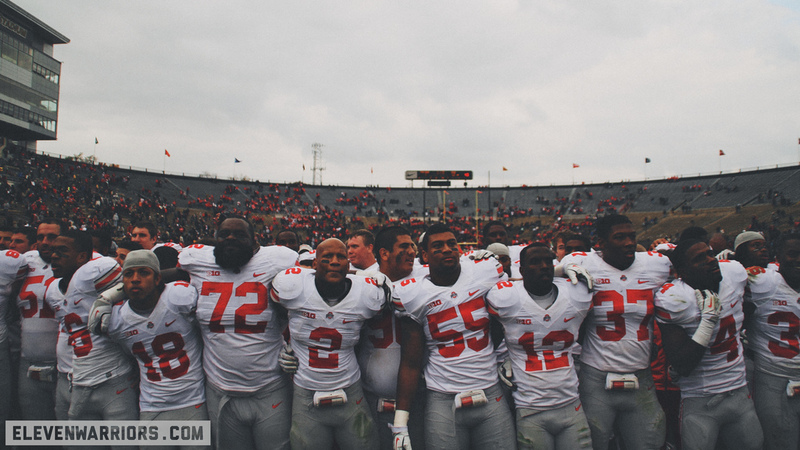 #22 / The artists formerly known as "The Clown Show" endure a fall practice. 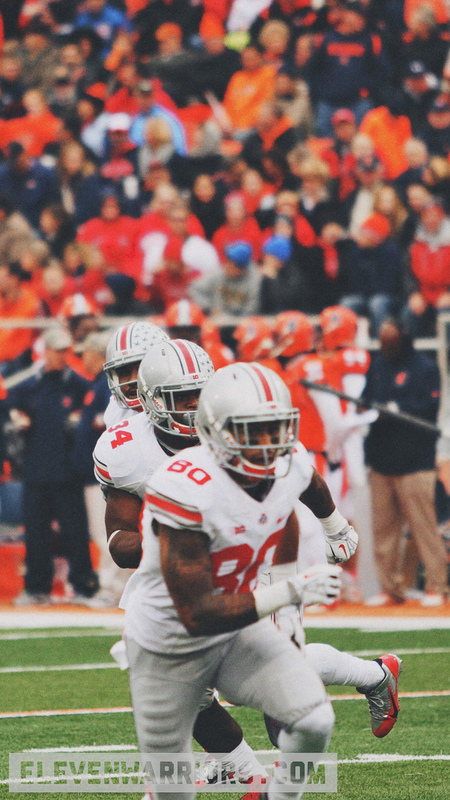 #21 / Kenny G, cheesin' pre-game. He likes his one, too. 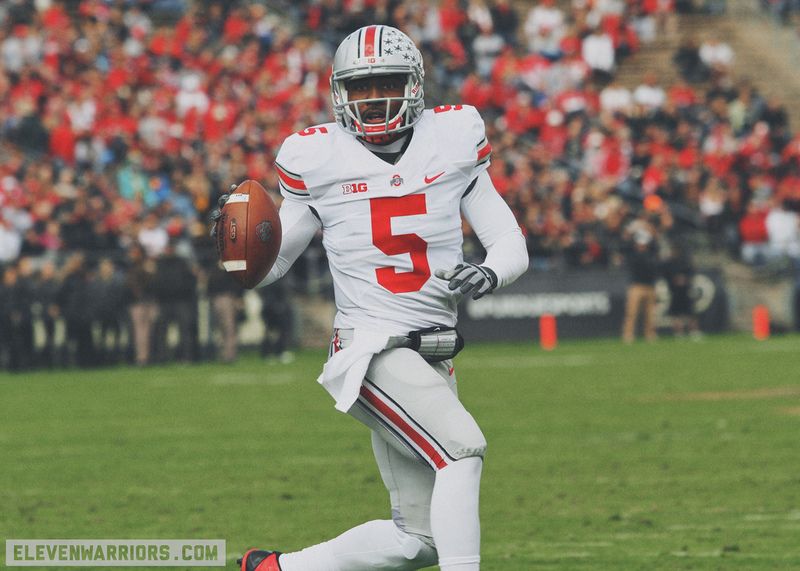 #20 / The Dontre Wilson Hype Machine. 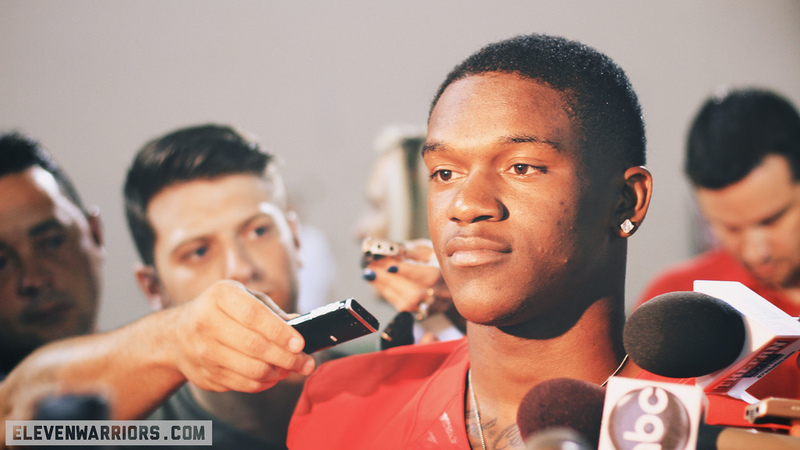 #18 / El Guapo's emotional press conference following the Northwestern game. 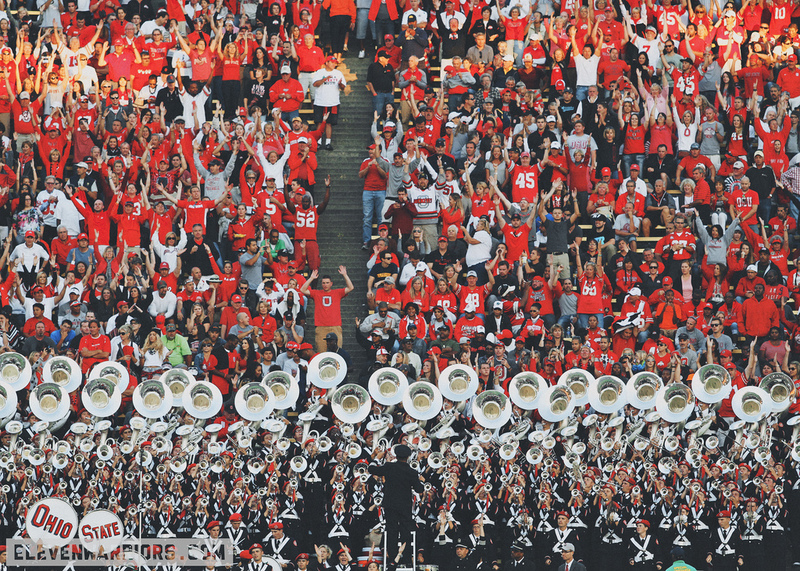 #17 / "Carmen Ohio" in Indiana. 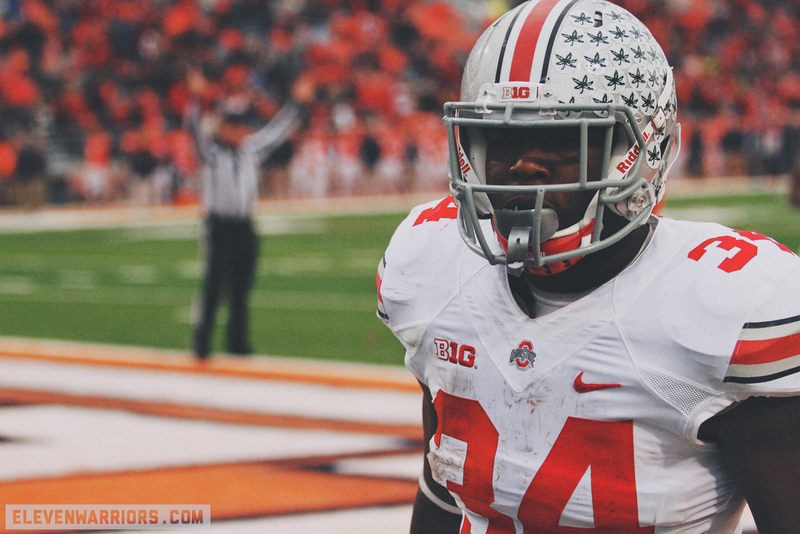 #14 / Carlos Hyde flying in to save the day at Illinois. 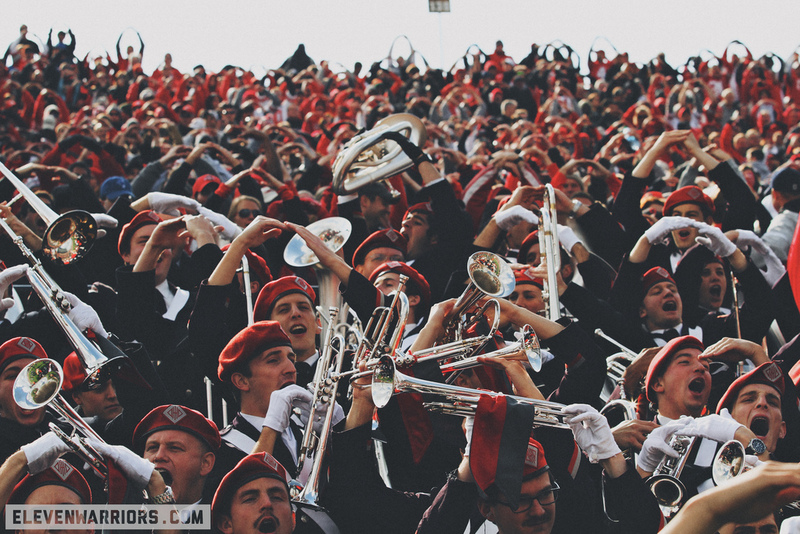 #13 / TBDBITL's Fearless Leader, Jon Waters, directing the band up north. 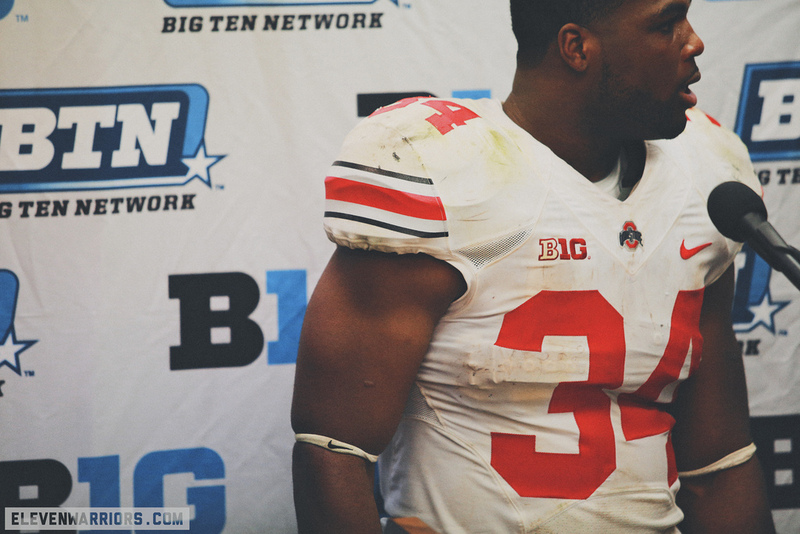 #12 / Queen City Sack Machine, Adolphus Washington. 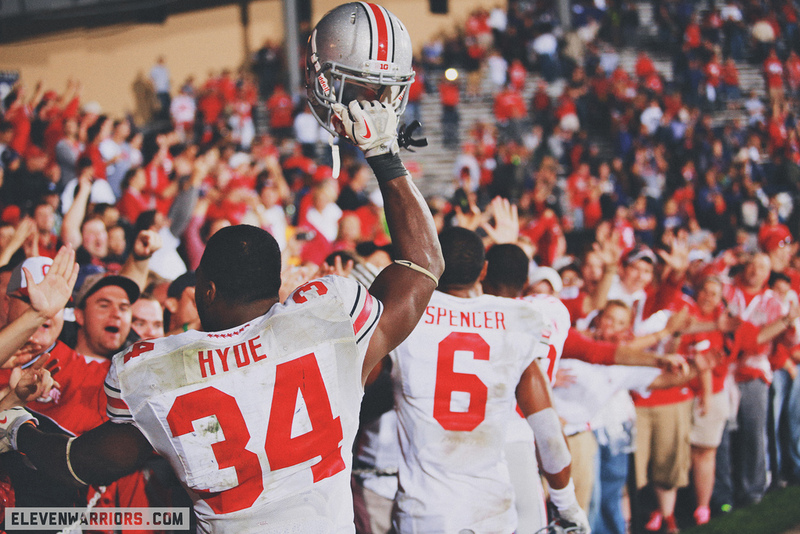 #11 / Carlos Hyde celebrating with the Chicagoland Buckeyes. 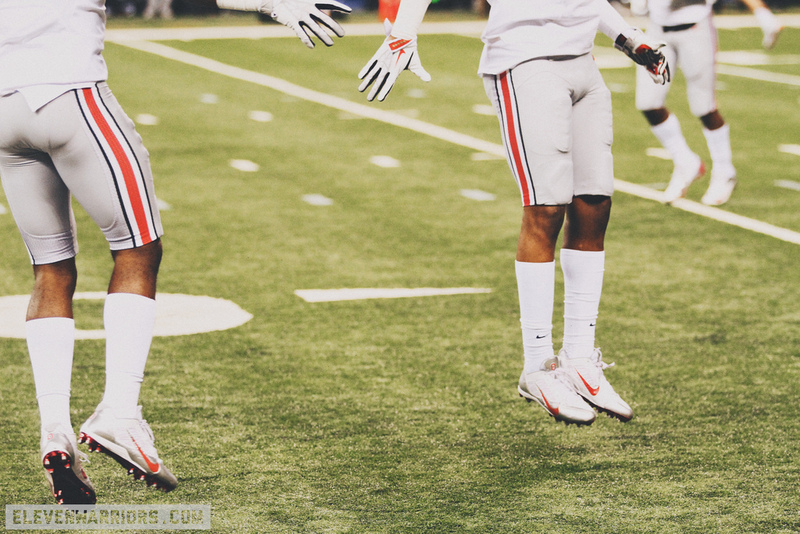 #10 / Hopping around in Indianapolis. 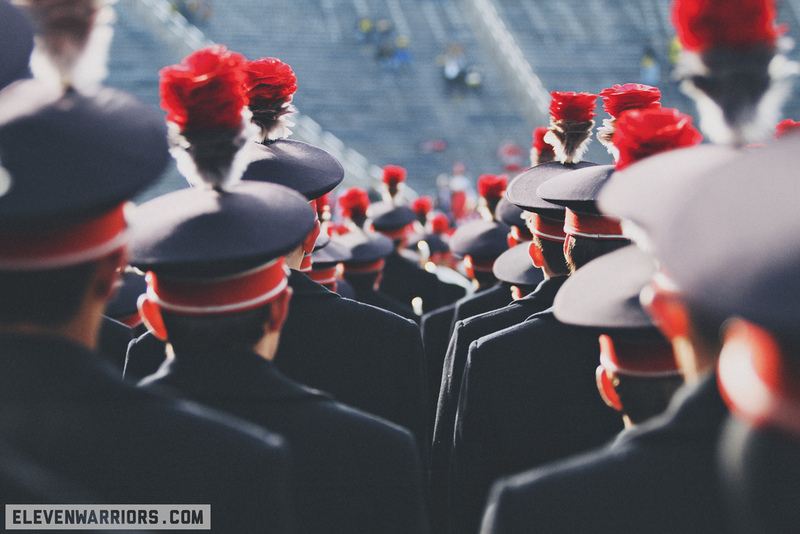 #9 / TBDBITL marches on Ann Arbor. 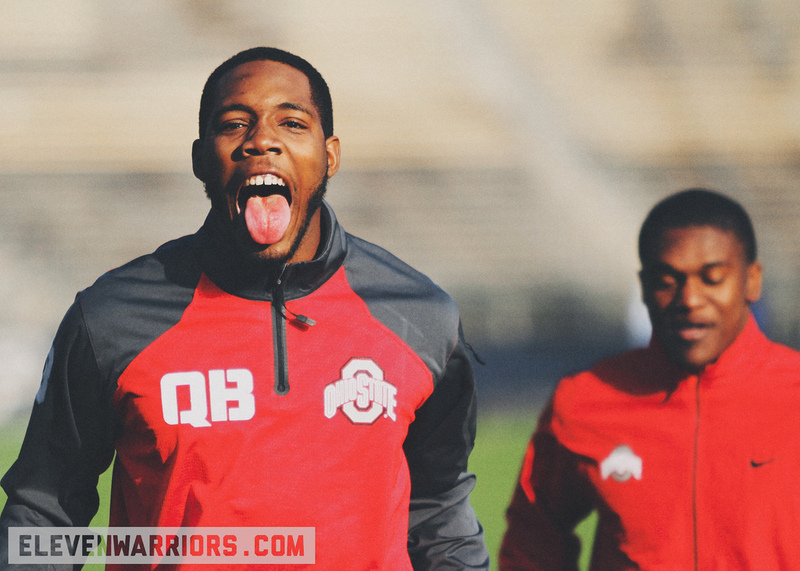 #7 / Michael Bennett getting his mind right. 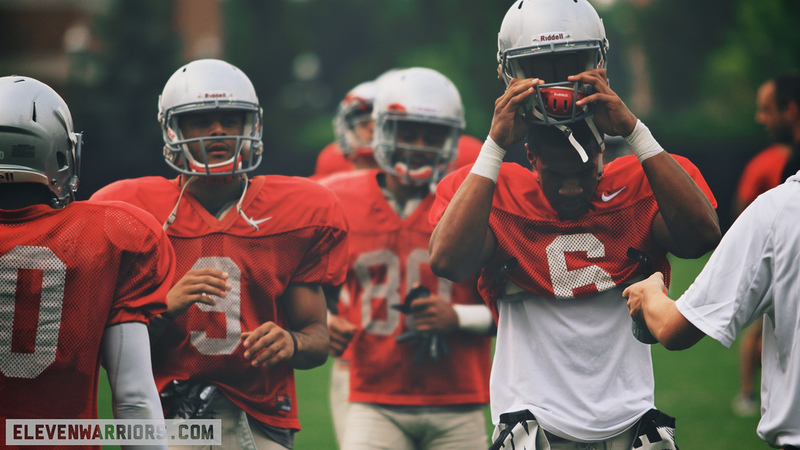 #6 / Freshman, Mike Mitchell, at his very first Ohio State practice. 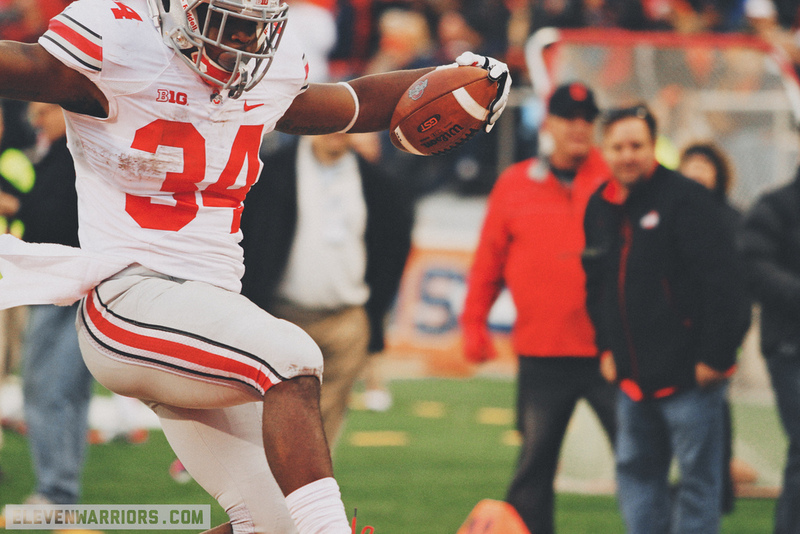 #5 / Carlos Hyde, doing his thing in the endzone. 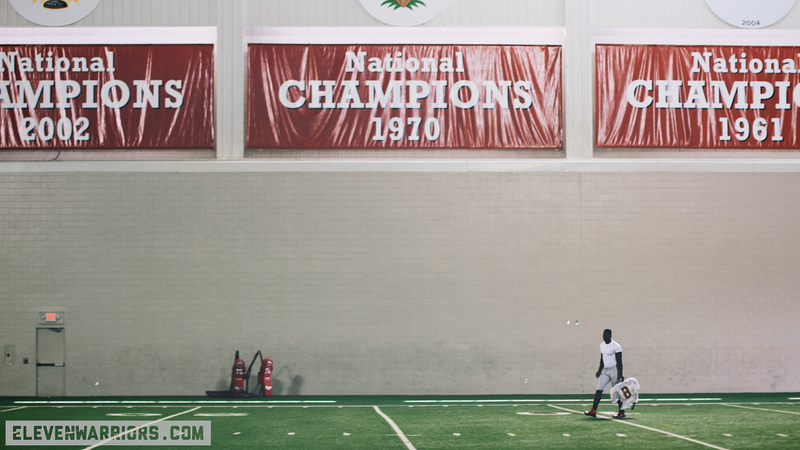 #4 / Noah Spence takes a walk during fall camp. 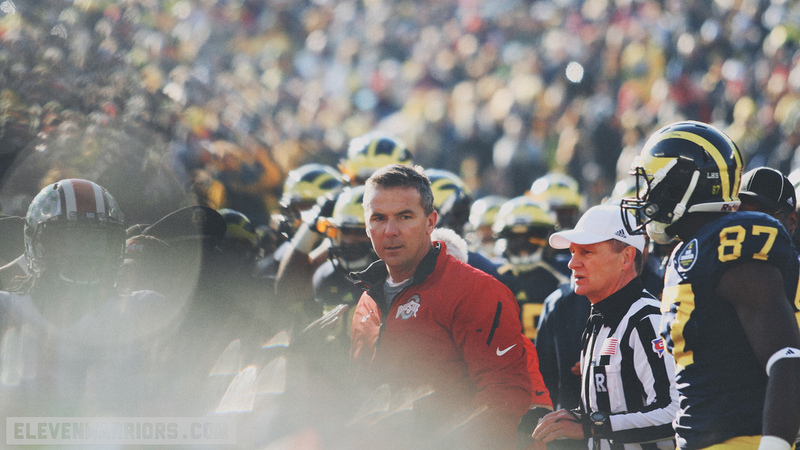 #3 / Urban Meyer ventures into Michigan for the first time as head coach. 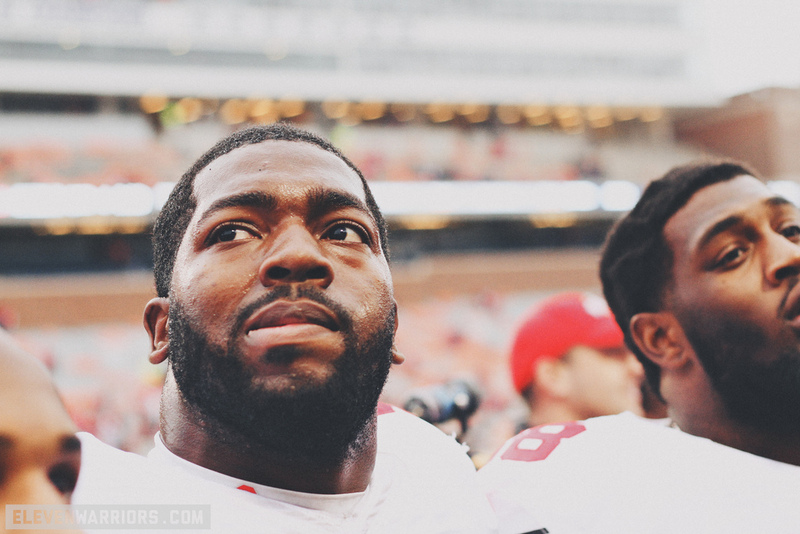 #2 / Berkeley had a distinctively Midwestern feel to it in mid-september. 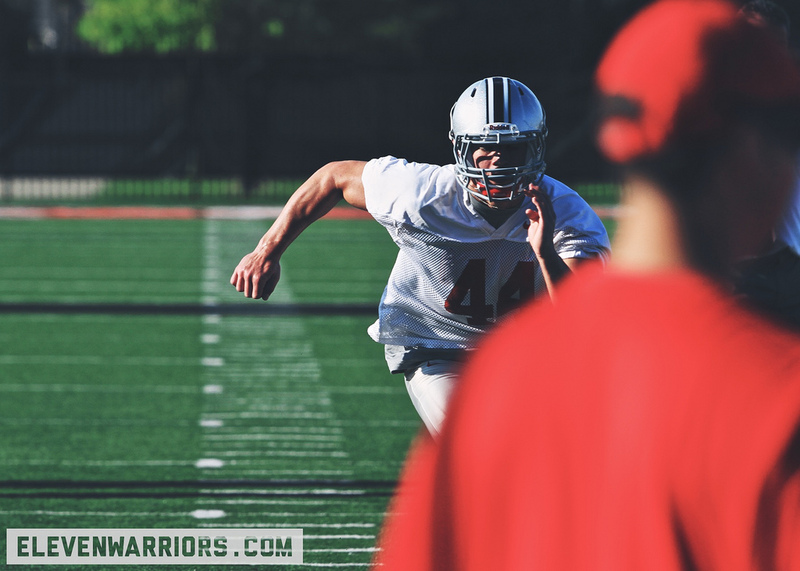 #1 / Braxton and Philly making eyes at each another at Purdue.